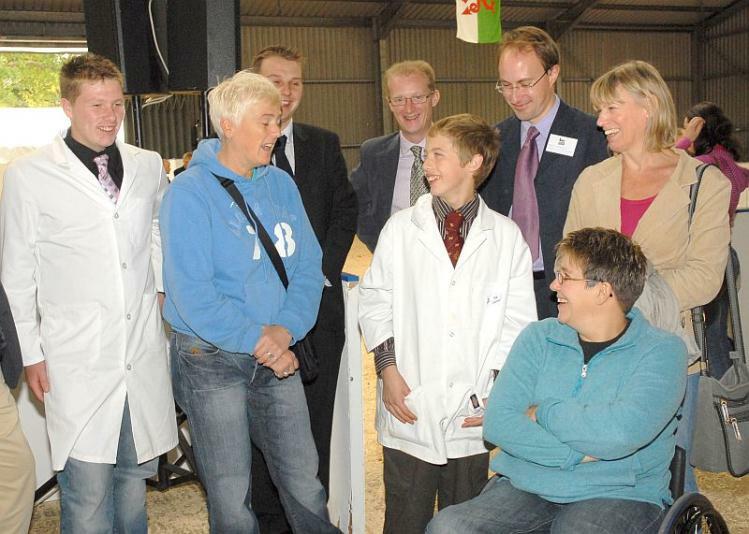 Young Farmers helped educate teachers and careers advisers at the careers event held during this year’s RABDF Dairy Event and Livestock Show. Around 20 careers professionals learned more about opportunities and skills required by jobs in the farming industry direct from Young Farmers working in a host of roles. NFYFC agriculture and rural affairs committee chairman Doug Jackson and council member Colin Tucker gave day-in-the-life-of presentations to the visiting delegates illustrating the broad range of careers and available in farming – from agricultural consultancy and veterinary jobs, to lab technicians and equipment sales representatives. The delegates were also given a tour of the YFC stockjudging competitions and the chance to chat to YFC members about futures in farming during the day, which was designed to improve the quality of careers advice being given to young people through schools and advisory services. Doug Jackson said the event had been a great success and the delegates had gone away with a wealth of fresh knowledge to pass on to potential new entrants into farming. “I think they do realise that agriculture is a serious career with prospects. The salaries did surprise them a bit and helped to illustrate that there are defined career paths and professionalism within the industry. The event will definitely help ensure that careers advisers are directing new entrants towards farming as a positive choice, not as an alternative. 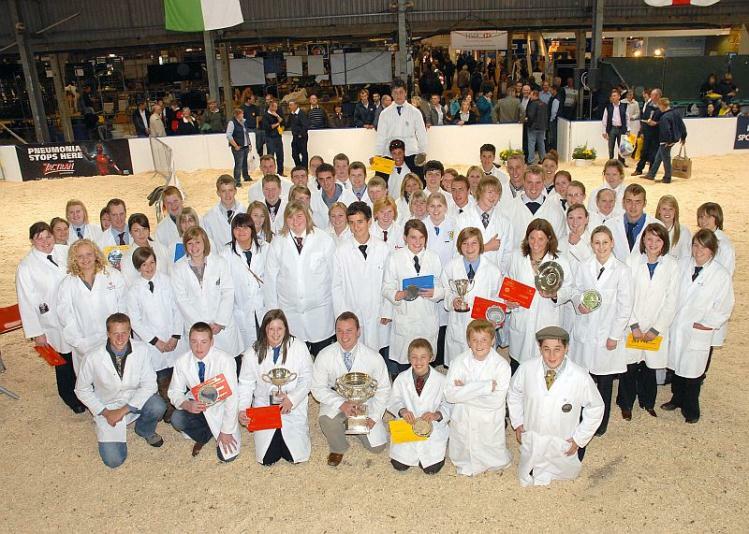 This year’s Stockman of the Year and Young Stockjudge of the Year competitions were sponsored by Farmers Guardian. Thank you all for giving me the immense honour of being your national president for another year. It is a position I hold most dear. I can hardly believe it has been 12 months since I wrote last year’s report. Being your president has provided me with yet another very busy year. My only regret is that it has not been physically possible to attend all the many YFC events you have kindly invited me to, for that I apologise. Those events which I have managed to attend have provided me yet again with the wonderful opportunity to see at first hand all the many talents we have within our membership. The high standard in all the competitions is getting more impressive all the time, particularly as our membership is getting so much younger. At this point I would particularly like to thank the Welsh Federation for the warm welcome and hospitality I always receive from them and their members – even though I have not yet managed to master the spoken word of heaven! The dedication and enthusiasm they all have for YFC has to be witnessed to be appreciated. I also applaud them for their patriotism. After a few very difficult months earlier in the year our national staff team is now nearly up to full strength. Coupled with a dedicated officer team, this means that things are now much more positive and therefore we are better equipped to meet the on-going challenge that NFYFC always seems to be facing. Whether we like it or not, we must face up to the fact that, in the eyes of the law, we are not a young farmer movement but a rural youth organisation working with, and on behalf of, young people, and therefore we must operate within the law in everything we undertake. I would also like to acknowledge all the hard work done by County Federation staff who, in many instances, work very long hours, to ensure you, the members, can enjoy the many benefits that YFC can offer. Finally, please have fun, act responsibly and enjoy your time in YFC! 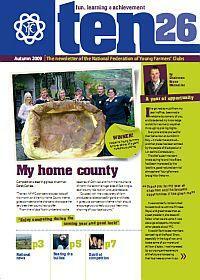 The autumn edition of Ten26 is now available to read online or download. Catch up with all the latest developments at the national office; read what the council steering groups are working on and get some tips and tricks for successfully competing in this year’s competitions programme which is themed My Home County.